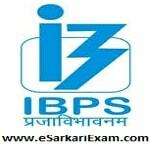 Eligible Candidates can Download IBPS RRB CWE VI Reserve List and Provisional Allotment at the Official Website of IBPS Between 16 Nov to 15 Dec 2018. Click on CWE RRB Link on Left side of Home Page. Now Open Common Written Examination Regional Rural Banks Phase VI Link. Click on Appropriate Link to check Reserve List and Provisional Allotment. Fill Login Details in Required Field and CLick Login Button. Check Allotment by Using Roll No/Reg No/Pwd/DOB.